Another Blizzcon has happened, and another World of Warcraft expansion has been announced. 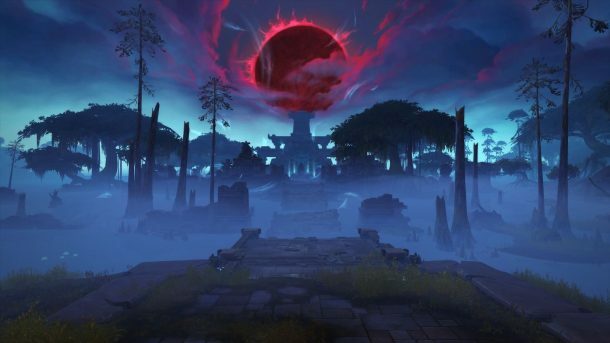 Recent expansions have focused on defeating external threats, but Battle for Azeroth aims to reignite the classic conflict between the Alliance and Horde. Only this time, it feels a little more… balanced. I’ll admit, I did cheer slightly when I realised Lordaeron was finally being taken back from the Forsaken. Anyhow, the Anaheim convention also saw plenty of announcements about the expansion. Although, the focus was less on the story, and more about the technical details and content implementation. I could see the impact it had on other players, left deflated without having a big bad menace to rally the flag against. Instead, this feels more as if it’s the start of an intricate tale of personal conflict and malicious intrigue, in a way that’s best left shrouded for now. Even so, I was satisfied with the WoW expansion information available, and with the Blizzcon Virtual Ticket (which I’ll come back to in a separate post). Some of it gets a thumbs up, while others I’m undecided on or will wait-and-see once beta rolls around. For now, however, here’s my initial take on the main topics we heard about. Kul Tiras – we’ll finally be able to visit the Corsairs, and understand what makes their navy particularly powerful. I’m loving the beaten copper roofs and overall aesthetic, plus there’s the opportunity for more piratical adventures. I’m also hoping for mage-shaped shenanigans, as it’s Jaina Proudmoore’s hometown. Zandalar – Zul Gurub was one of my favourite raids back in Vanilla WoW, but that mainly because of the lore and story more than the twisting layout. That love returned in Northrend’s Zul’Drak, and I’m severely tempted to roll hordeside just to experience it. Allied Races – instead of introducing new options at launch, these are being added in a very neat way. We unlock each new race by completing a story that brings them into the Alliance or Horde, making them available as a character choice for new alts or rerolls. I also love that they start at level 20 with their own backstory, and have a Heritage Armour reward if we level them to cap. New Levelling Approach – The new expansion zones can be completed in any order (within reason – see below), and will scale in the same way as Legion’s zones do now. Even better, all the legacy content is getting a revamp: Azeroth zones will fall into bands, Northern and Outland will both cover levels 60-80, and so on. Creating alts will get a whole lot better. 6 New Character Slots – which will be fantastic for using on those new allied races, especially with the alt levelling experience getting a complete makeover. Island Expeditions – I’m hugely interested in this concept. 3-player scenarios (similar to Legion), but with randomised elements to keep them fresh. Four difficulty settings, including a PvP option, and advanced NPC AI that have a whole bunch of new tactics. Communities – cross-server groups that are tied to an individual character (no cross-faction groups), but work a little like guilds except we can join more than one. Battle.net groups are also being added for those close-friends, and will work cross-faction. I’m looking forward to both as a neat way of expanding my social circles beyond a collection of chat channels. Azerite – Instead of trying to heal our dying planet, we’re going to eat the blood that seeps from its wounds, and use the power to fight our enemies. Great, right? Conflict – Sylvannas acts like a badass, while Anduin looks and behaves like a boy-band reject wearing his dad’s armour. I aim hoping that, for Mages at least, that we can ignore the usual brouhaha and instead look at Jaina’s story. Teldrassil Bonfire – it might be a corrupted world tree, but it’s ours. Also, there’s still no sign of fixing Gnomeregan, which I’m still salty about. Warfronts – This is another thing lifted form legion, but it’s more about 20-player PvE content. I like the idea of battling on the frontlines, but I’d like to see it in action before I give it a thumbs-up. Class Buffs – On the one hand, this was something I miss from older WoW. But, on the other, I get worried that there’ll be buff min-maxing for mythic etc. Will classes with weaker buffs get benched? Battle.net Voice – knowing how much I dislike voice comms in general, I can see this quickly going on perma-mute. While I can understand the benefit of using it to explain tactics and coach newcomers, I’d personally rather watch a YouTube video or read a guide. 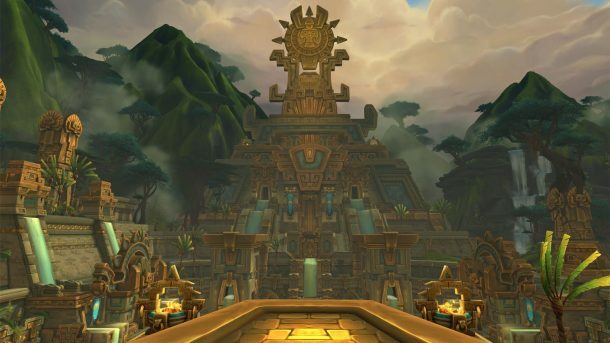 Zone Plans – 3 zones will be used for levelling (Kul Tiras for Allaiance, Zandalar for Horde), while another 3 will be predominantly for endgame (opposing faction zones). I’m in two minds about this – on the one hand, it acknowledges the amount of playtime spent at cap. But, on the other, I’m concerned that fatigue might start creeping in. Heart of Azeroth – Having a non-visible gear slot that gradually gets powered up sounds like a neat idea, but I’d like to see how it works in practice. I wasn’t a fan of Artefact Power, particularly in how it created a disproportional handicap to the levelling experience depending on which class you played. I’ll be reserving judgement on how this plays out. Stat Squish and iLevel Changes – As with the Heart of Azeroth, I’ll wait and see how this plays out. In my experience, non-healing cloth casters tend to be hit the hardest, losing their offensive potency and gaining no survivability. Again, I’ll see how this shapes up in beta. World PvP – I can understand this change. Pick how you want to flag while in a city, then go out and meet likeminded folk in the open world. If you don’t like world PvP, you can change the rules set without changing server. And, if you love world PvP, you might end up in a virtual desert. For me, I’ll have to wait to see how it’s actually used, but I understand the concerns. Story – The clue’s in the title: World of Warcraft. There’s been plenty of defeating the monster of the week/patch, but there’s been little conflict between the factions. I’m curious to see how it all plays out, but I can also understand that the lore team want to keep things close to their chests for now. Personally, I hope that the Kirin Tor become a bit more independent from the factions after holding the light for so long, possibly a bit more shadowy, and give mages some more complex role-play in the future. That’s it from me, but how about you? What are you excited for in Battle for Azeroth, and what left you feeling uncertain? Sound off in the comments! This entry was posted on Tuesday, November 7th, 2017 at 10:57 pm	and is filed under MMO Musings, Warcraft. You can follow any responses to this entry through the RSS 2.0 feed. Both comments and pings are currently closed. 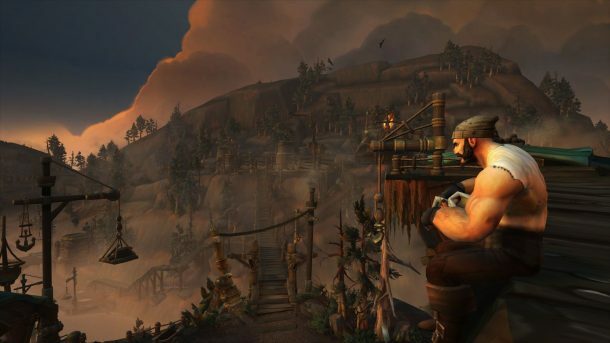 Pingback: World of Warcraft Communities: Could you (eventually) create your own realm?